Today I’m going to teach you how to find rare edible plants. Joseph makes a good point. Some of the rare edible plants in my book ARE hard to find. 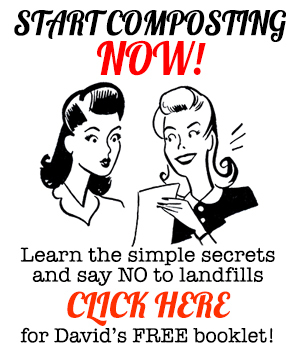 You won’t be able to get them from most mail order catalogs or from your local nursery. The reason my book contains these plants is because it’s a book on TOTALLY CRAZY EASY FLORIDA GARDENING! I hate having to work really hard at growing food… so to get out of all that work, I looked for serious shortcuts. What I did in the years before I wrote the book was gather together a wide variety of edible plants and test them to see which ones were the easiest and most productive, regardless of rarity. Some plants which are widely reported to be “easy,” like comfrey, are NOT easy to grow in Florida. It grew like a weed in Tennessee. Not here! Many other plants are stupid easy to grow – but I never see them covered in Florida gardening books, even though they should be well known. Crops such as true yams and cassava rarely make the grade – but you can bet they’ll have lots to say on tomatoes, which are one of the harvest things to grow in a Florida garden. I tested crops that grow in similar conditions to Florida. Regions with hot summers (such as Southeast Asia), occasional freezes (like the Mediterranean) and plenty of humidity (like the Caribbean) featured prominently in my hunt. Most Florida gardening books are focused on mostly European crops, because that’s where most of our gardening traditions originated from. Many of those crops, which thrive in the New England states, are harder to grow down here. So – where do you find some of these rare edible plants? Here are five sources. Ebay is a good source for a variety of strange and esoteric plants. I’ve gotten some good things there – and I’ve gotten some flops. You can find more than you think by searching the listings. Go – take a look. Right now the Plants, Seeds and Bulbs section has over 200,000 listings. That’s a lot of rare plants. There are some great sellers in the US and Canada, but if you see stuff coming from China, Indonesia, India, etc… beware. A lot of those seeds are junk. Mail order nurseries are a good place to find some rare edible plants. I’ve gotten some really cool plants from Peaceful Valley, from Burnt Ridge Nursery, and from Woodlanders, which carries some REALLY rare edibles. They even have Abelmoschus manihot, the rare edible-leafed hibiscus I mention in the book as being great for salads. There are also some well-known nurseries I DON’T like, like Willis Orchards, Gurney’s and TyTy Georgia. They offer a lot of stuff; and, in my humble opinion, most of it stinks. TyTy Georgia nursery seems to put a lot more effort into pics of half-clad teens caressing fruit than they do into actually growing good stuff. My personal favorite source for rare edible plants for Florida (now that my nursery is gone) is my friend Grower Jim. He’s got some really cool things for sale, plus his blog is excellent. Baker Creek has a great seed catalog with some cool heirlooms in it. Territorial Seed is a great one company as well, especially for those of you in the upper left quadrant of the country. The owner is quite knowledgeable. I also like Southern Exposure Seed Exchange. Burpee Seeds is a reliable company with great quality control. Intead if hitting Home Depot or Lowes or Walmart for buying plants, I highly recommend you hunt down good local nurseries. Chances are, there are some niche nurseries which share your particular plant interests. A reader contacted me and said that Quality Green Specialists was a good nursery for Florida. You’ll find their edible plants here – including olive trees. I haven’t been there, but in Florida, I like the Mosswood Farm Store in Micanopy, Blue Star Nursery in Hawthorn, Taylor Gardens Nursery in Sparr/Citra, Spyke’s Grove Nursery in Davie, Pietro’s PawPaws in Ocala, and Chiappinni’s Native Farm and Nursery in Melrose. There are probably more I’m missing, too, but look around. Hit the local places and support small nurseries. Or start your own! You all know how much I like hunting through ethnic markets for rare edibles I can grow and propagate. Roots like malanga, yams, turmeric and gingers are usually available – and sometimes rarities like the Chinese water chestnut as well. You can also buy squashes and save the seeds, not to mention interested bags of dried beans and seeds. Pigeon peas, moth beans, favas and herb seeds are common finds. 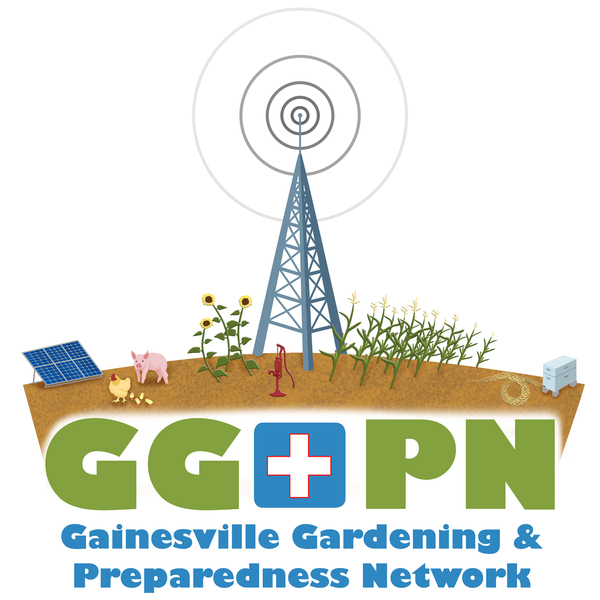 …and I’m also friends with the organizer of Permaculture Ocala (there’s a Facebook group but I’m not on Facebook or I’d link it). I’ve also joined a half-dozen other gardening groups on Meetup.com. You can also join rare fruit groups and other local gardening clubs to find people growing interesting and delicious plants. Gardeners are well-known for sharing seeds, roots and cuttings. Make friends. Go get ’em! There are seed-trading sites across the internet, such as HeirloomSeedSwap.com, the seed exchange at Gardenweb.com, and PlantSwap.net. I’ve also seen some exchanging take place at the excellent Permies.com website. My friend Josh Jamison at H.E.A.R.T. in Lake Wales (see my video tour from a few years back here) has informed me that they now have “a sales nursery at H.E.A.R.T. featuring any rare perennial edible anyone could want.” Check them out here. What it all boils down to, my friends, is that if you’re having a hard time finding rare plants, you need to join ebay and start bidding, go make some friends in the plant community, hit up some ethnic markets, or just spend some more time searching with Google. Yes, I cover some hard-to-find stuff in my book, but it’s by no means impossible to obtain. 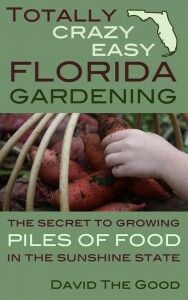 Consider Totally Crazy Easy Florida Gardening: The Secret to Growing Piles of Food in the Sunshine State to be your Florida treasure map, taking to you to a place of delicious edible gardening with little or no work. I love Florida and I love Florida gardeners. I want you to have such ridiculous success that you garden for the rest of your life. I’ve tested the crops already and many of you have already written to share your successes. The wheel has already been invented… you just need to go hunting and get it rolling. 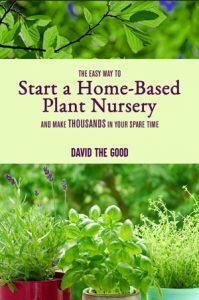 There’s a Chinese website, AliExpress.com, where I have found seeds for lots of the plants you mention in your books and blog. Their prices are incredibly cheap and no shipping costs. It takes a while to receive the products because they’re shipped international, but they will get there. Nice – thank you for the link. You can find some good stuff there. And it’s local, so you know that it will grown in your area. Your comment about TyTy Georgia seemed strange so of course I visited their site and there is truth in your words, it’s surely the strangest seed & plant website i’ve seen. The only part of the description you are missing is the “horribly photoshopped pictures”. Yes. Comfrey in Florida requires some shade and constant moisture. Not sure if it’s the sand or what, but I’ve planted about 25 comfrey plants on my homestead in the last five years and have 0 left living. The ones that lasted the longest were babied and nursed along. I got sick of caring for them. Only place I’ve seen it grow decently is at the edge of a friend’s banana circle where the soil is rich and moist – and even then, it’s not doing anywhere near as well as it did for me up north. Wilder forms might be worth experimenting with. I know for sure the Bocking 14 type is a fail. And thanks for the mention! I disagree that tomatoes are hard to grow in Florida. I’ve raised big, healthy plants with great success in the panhandle and in east central FL over a span of 40+ years. The two essential requirements are (1) the right variety and (2) soil fertility. Big Beef is my all-time favorite (yes, it’s a hybrid, deal with it) because of its disease resistance, but I’ve grown a number of heirlooms too. And so many people do not get the overwhelming importance of soil fertility. Compost, green manures, leaf mold from last year’s leaves, permanent mulching, etc. on a continuing basis, forever. This is the value of experimentation, for sure. I’ve got no problem with hybrids, either. Whatever works. David, this is exactly what I needed to get prepped with this stuff. I’m getting married in May – we don’t have any land now but are hoping to start a homestead (and if that takes too long we’ll take over the back yard of the place we’ll be renting). Anyways, due to lack of interior space where we’ll be living now, we’re putting a bunch of seeds on our registry! 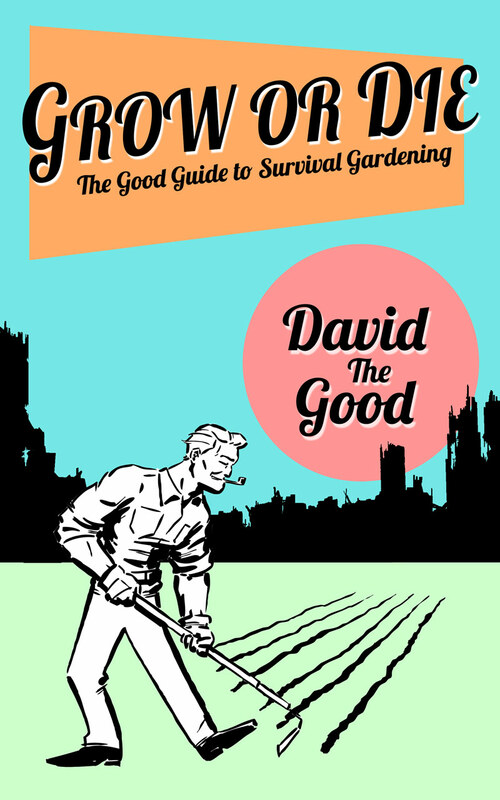 We are looking forward to being able to grow – as a new family – and your books have been fantastic at giving us a “just grow it” mindset when we’ve been inundated by permaculture theory without any actual growth. Thank you, Chad – and congratulations! I love your suggestions for finding these plants that you profile! I have been looking through the Asian markets in town, and I would add one suggestion to what you say. It is this: if they don’t have fresh vegetables at the Asian market you are in, ask the person who works there where they can be obtained. I went to 3 Asian markets in town that had no fresh produce, but they finally were able to point me to the one in our area that does. 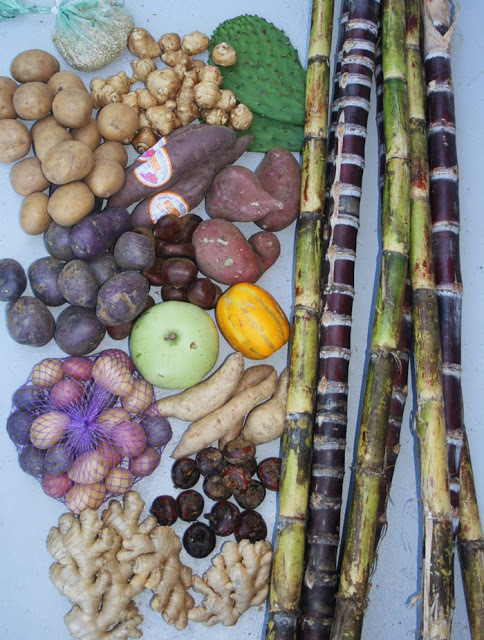 I went there yesterday and scored true yams and taro root. I could have gotten many more things I am sure, and I will be going back to that store. I live a ways north of Florida, so I don’t think most of the plants that grow for you would grow for me, however, finding and trying to grow unusual edibles has been a gardening passion of mine. I especially like to find native and old, forgotten varieties, because they are usually well adapted to the area where they have been previously grown. When trying to propagate plants I buy at a market, I try to stick with those that have been grown locally. My experience saving squash seeds has been mixed. While they grow easily, they tend to readily cross pollinate, so what I get is often not the same as what I originally bought. But hey, surprises are half the fun of gardening. If I happen to find an unusual vegetable or fruit at a local nursery, that is great. If I know the name of something I want to try, I will search online for it to find out where it is sold. Once I find a seed company or nursery, I will browse their offerings to see what other unusual plants they have available. SSE is a good one, too. Thank you. I once had a cross between an acorn and a spaghetti squash show up in my garden. It looked like an acorn, but the inside was spaghetti squash. It is fun to see what happens. I planted pumpkins from saved seeds last summer. I had one that looked like a pumpkin with “spaghetti” inside, and a couple that looked like zucchinis with yellow flesh. I had zucchini growing nearby, but I don’t know where the spaghetti came from. I saved some seeds from the more normal ones for next year, and will wait to see what they make. Keep up the amazing work David! I probably totally misspelled that squash name, hope someone can correct that…please! Great article. And I was wondering about TyTy – they have the most bizarre commercials I think I’ve ever seen, at least for a nursery, anyway. They have a large selection and cheap prices – I knew it was too good to be true. Yeah, there’s something way off there.